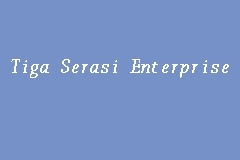 Tiga Serasi Enterprise covers Kuala Lumpur and more. They can help if you are moving house or relocate.Are you one of their customers? Write a review for them ! Start share your experience with Tiga Serasi Enterprise today!